Tuesday, April 18 was a proud day for the NBPD as we welcomed three new officers to our family. 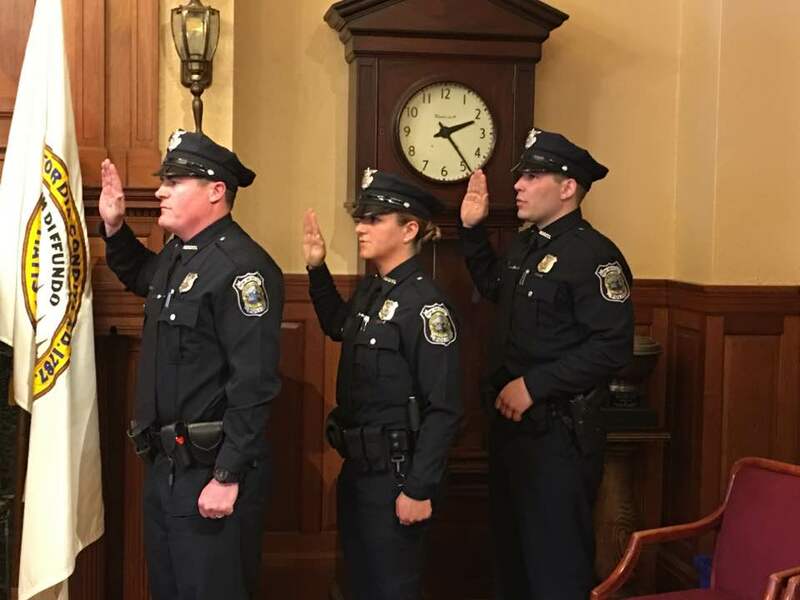 Being sworn in as New Bedford police officers at City Hall are, from left, Turner Ryan, Victoria Wagner and Tim DaCosta. The proud group in attendance included, from left, Police Chaplain Rev. David Lima, Lt. Ricard Rezendes, Deputy Chief Paul Oliveira, Chief Joseph Cordeiro, Mayor Jon Mitchell, newly sworn in officers Turner Ryan, Victoria Wagner and Tim DaCosta, and City Councilor Linda Morad. 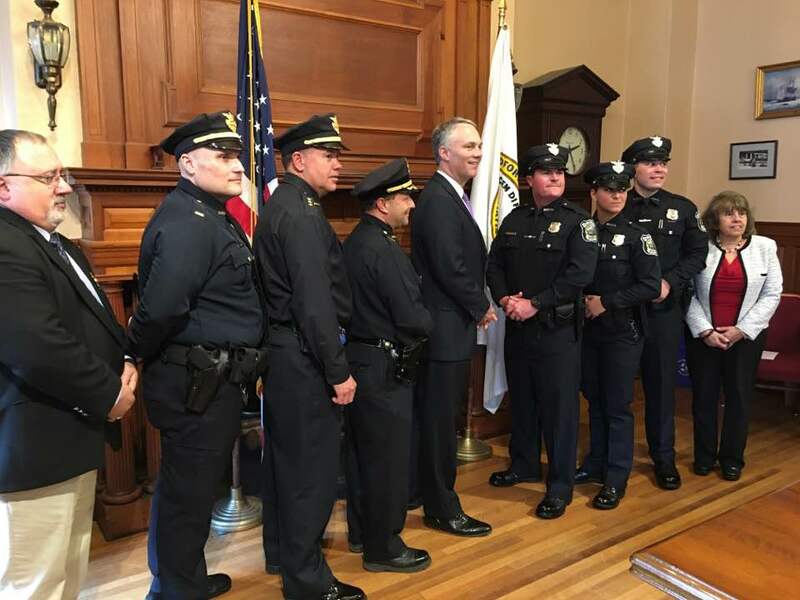 The mayor and the chief reminded the city’s newest officers to work hard, treat people with respect, take comfort and support in their families and to live up to the strong reputation of the New Bedford Police Department.